Nothing cleans up the appearence of a tired interior like a steering wheel restoration. Its the component that has the most contact within the car and so wears out the fastest. The steering wheel is a small part of the cars interior yet when done right can make such a big impact. 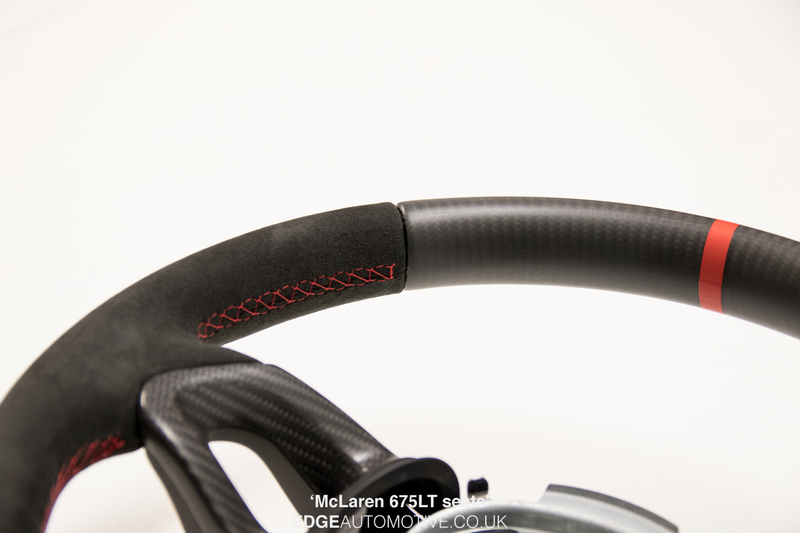 There are many styling options for a steering wheel restroation that go beyond the choice of the material. Wheels can be Carbon wrapped to add a new dimension to your wheel. Retrimming of the Airbag to match your steering wheel is also possible. We take great care removing the OEM badges for trimming which are then re applied. We can emboss ‘AIRBAG’ and Horn Logos into the material to keep everything factory too. Whether its the soft touch or the grip you like about Alcantara. There is no denying steering wheels look great wrapped in it. We can add a 12 O’clock band to your wheel. A contrasting colour in either Leather or Alcantara to identify dead center. 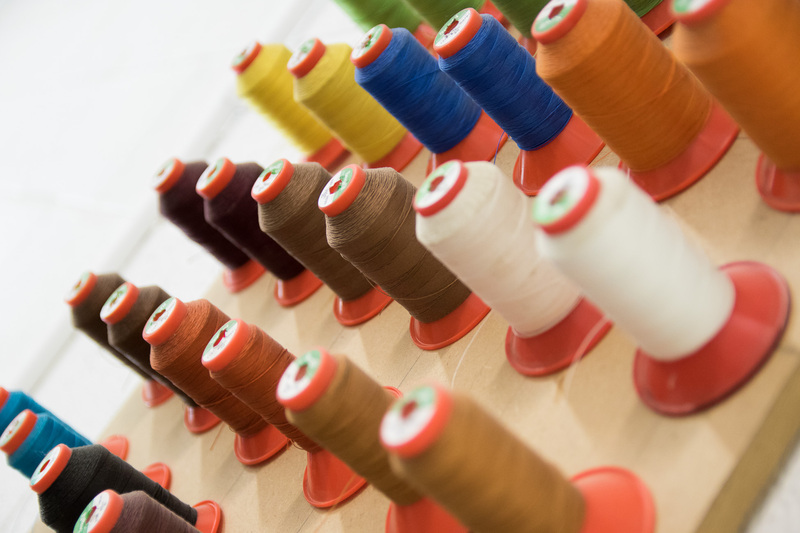 We can supply all OEM colours and beyond when it come to Thread. With a huge selection, matching to your needs won’t be a problem.